A NEW GENERATION OF CHEFS, who enjoy the foothills’ laid-back lifestyle, lower costs, and seemingly endless bounty of fresh, local ingredients, is bringing renewed energy and sophistication to our region’s dining scene. 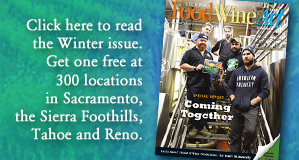 Besides Zach Sterner at Twelve 28 Kitchen, others include Chef Jesse Hanshaw of The Stone House in Nevada City, owner-chef John Weatherson of Restaurant Trokay in Truckee, and Chef Jacob Burton of Stella Culinary School and the new Renaissance Reno hotel, among others. Jacob is our favorite YouTube or podcast chef; his online presentations are educational and fun. We also are excited about Watershed, a New American cuisine restaurant that is opening in downtown Grass Valley. 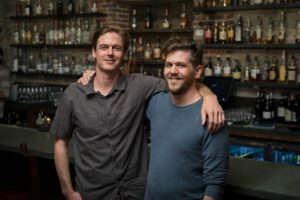 Its chefs, Nate Overstreet and Ashly Amador, have created a buzz with their imaginative cuisine at Polly’s Paladar, the Nevada City supper club. Polly’s Paladar — the creation of enterprising food lover Megan Hart — is a culinary adventure, featuring many of our most talented local chefs. Jesse is an alum of New Moon Café, where head chef and co-owner Peter Selaya is the dean of fine dining in the Sierra foothills. Peter is an extraordinary mentor to up-and-coming chefs. Now, Jesse is head chef of The Stone House, revitalized under San Francisco entrepreneur Jonathan Rowe. The Stone House’s upstairs dining room is a fine dining experience. Jesse updates the menu weekly. Dishes might include Llano Seco pork chop, grilled peaches, yams noisette, honey gastrique or roasted turnip ravioli, kale, ricotta, brown butter walnuts, and sugar snap peas. Jesse uses fresh ingredients from local farms whenever possible. “I enjoy the freedom I have in the kitchen,” he says.